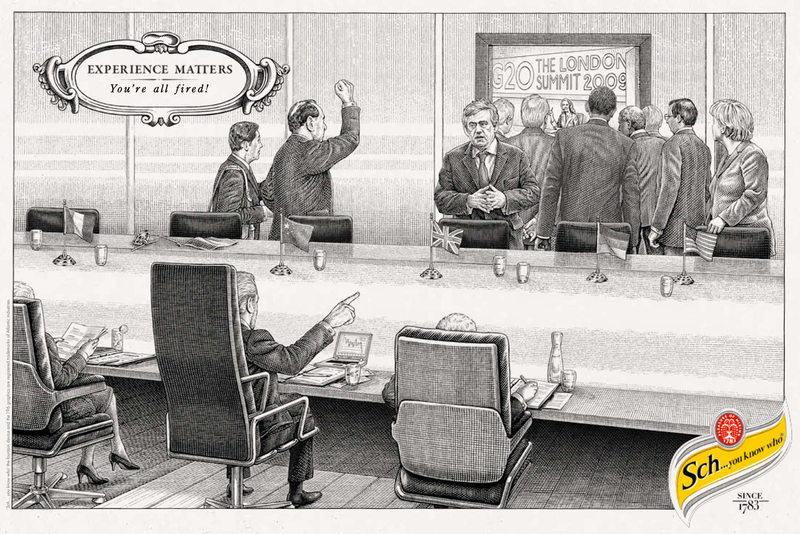 Schweppes heritage is being given a boost with an advertising campaign taking a crack at the inexperience of the global financial industry. 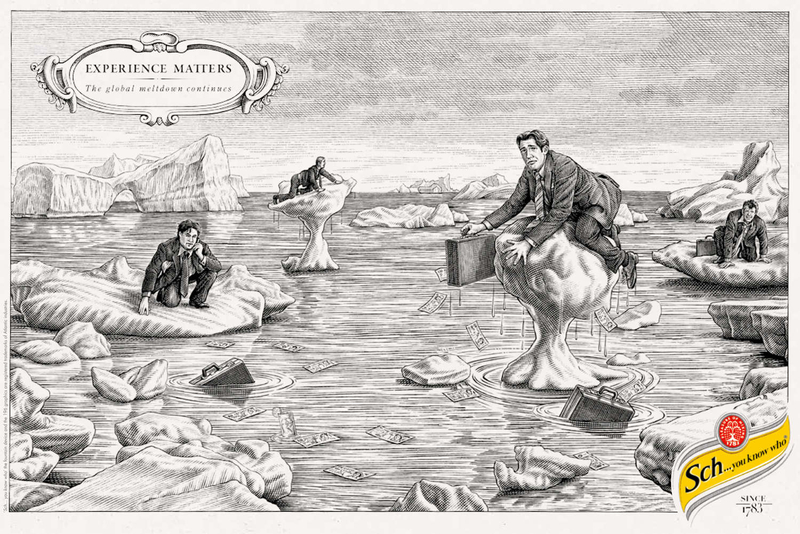 Black and white cartoons, with the tag line, “Experience Counts”, portray satirical takes on current events, the first two connected to the G20 Summit and the Global Meltdown. “Schweppes Since 1783.” The campaign, launched in March 2009, will continue with a fresh cartoon every two weeks through to the end of the year. The cartoons are inspired by William Hogarth, a satirical cartoonist whose social commentary was influential in the Great Britain in the 1700s. 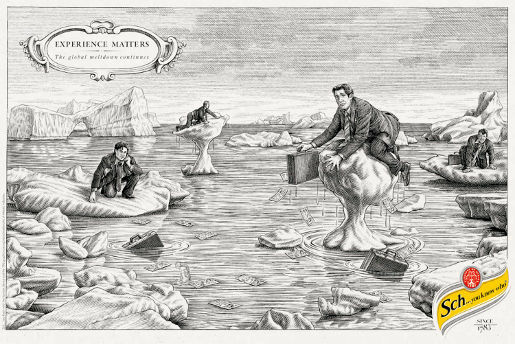 The Schweppes Experience Matters campaign was developed at Mother London with illustrator David Hopkins.